Multilingual menu and DTC definition:English,Frensh,German,Spanish and more. Display live O2 sensor test data,Evap system test. How to Start With Ancel AD410? The OBD2 port is often under the dash, or under a panel below the handbrake in the centre console. 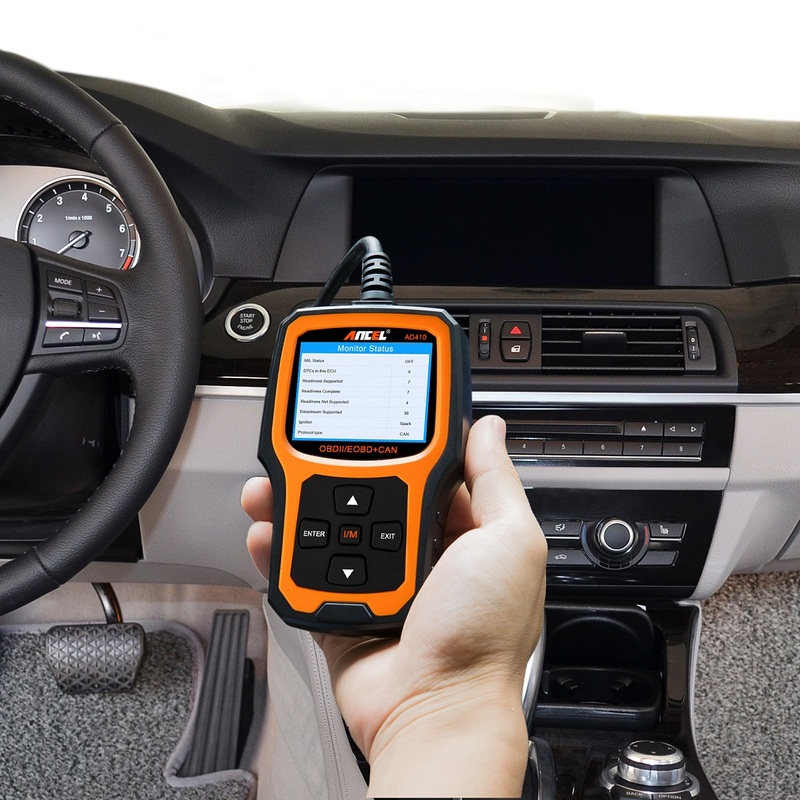 Simply plug into your OBD II port on your car and turn your ignition on and you ready to go. Why I can’t erase the fault code? Note: Not all vehicles support reading of all sensors. 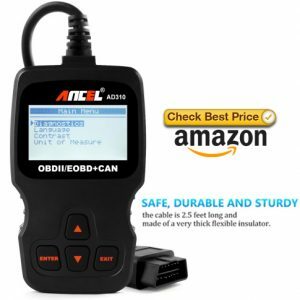 Readings supported depend on what’s installed on the OBDII system by the manufacturer, newer vehicles will have more readings. This unit provides life-time FREE software update to fix the latest bugs or add newly parameters. 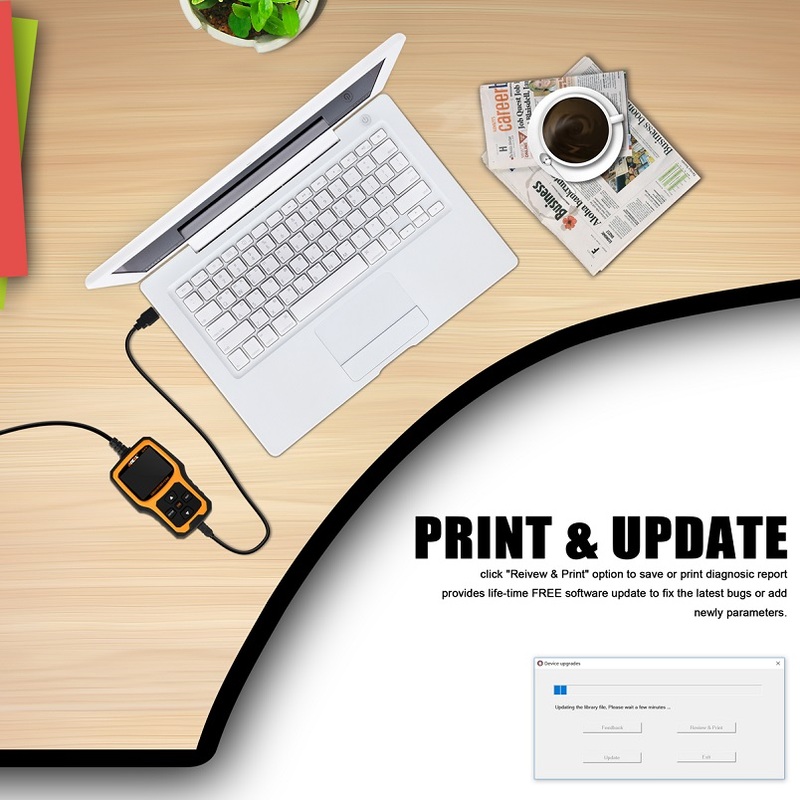 Just download the software from ANCEL webstie, then follow on-screen instructions to go. Q1:Can you see transmission, abs, and srs live data with this scanner? 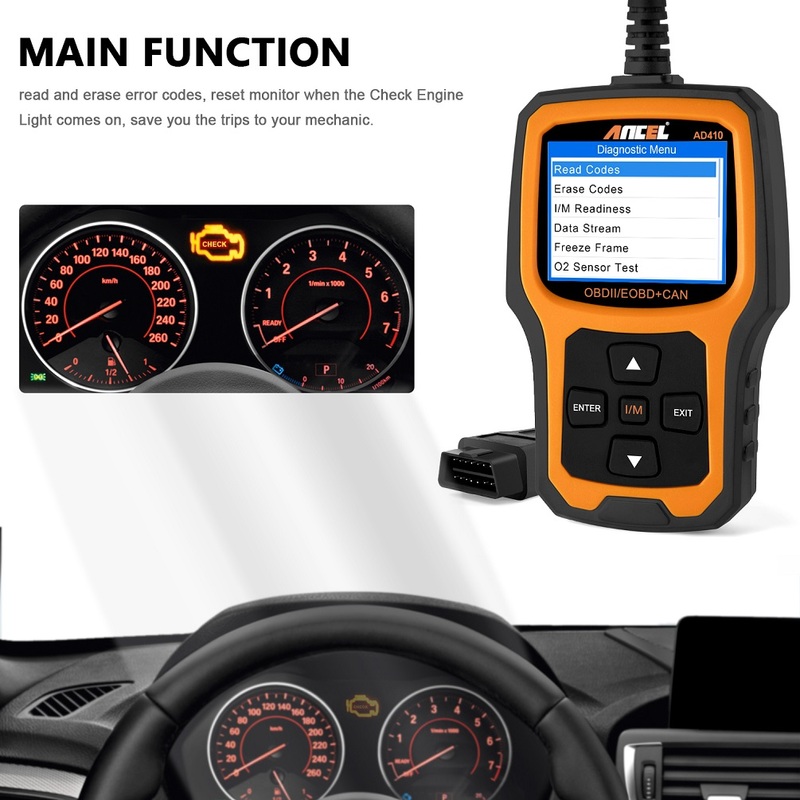 A1:Main function of this scanner is detecting engine system, read and clear error codes. 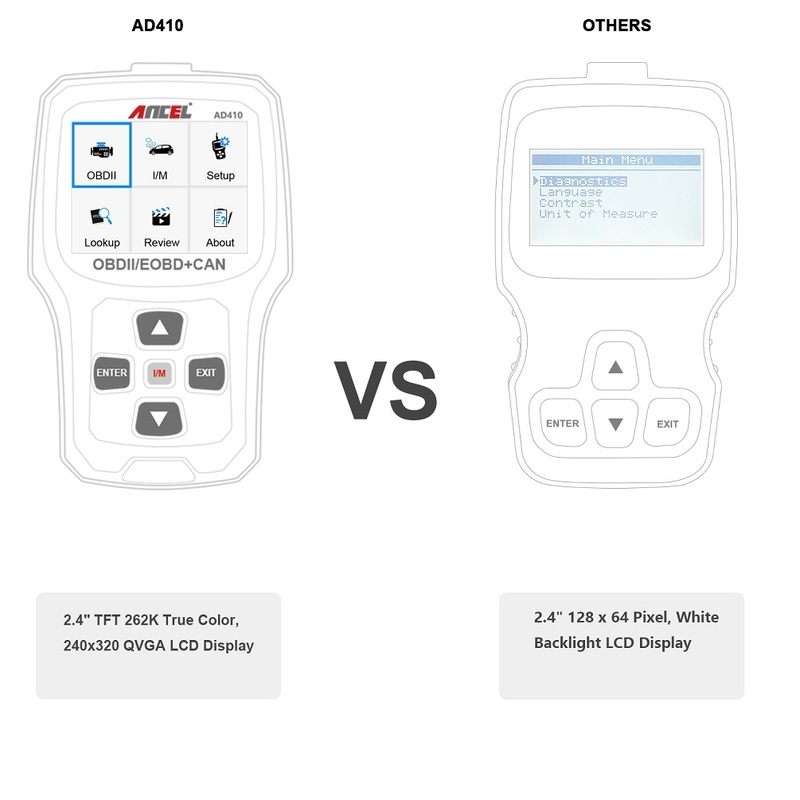 It can read live data, but it can not read transmission, abs, and srs. Any questions can contact us. Q2:Will this display maf values, engine rpm, and o2 sensor values? A2:Hi, it will reads. Any questions can contact us. Thanks. 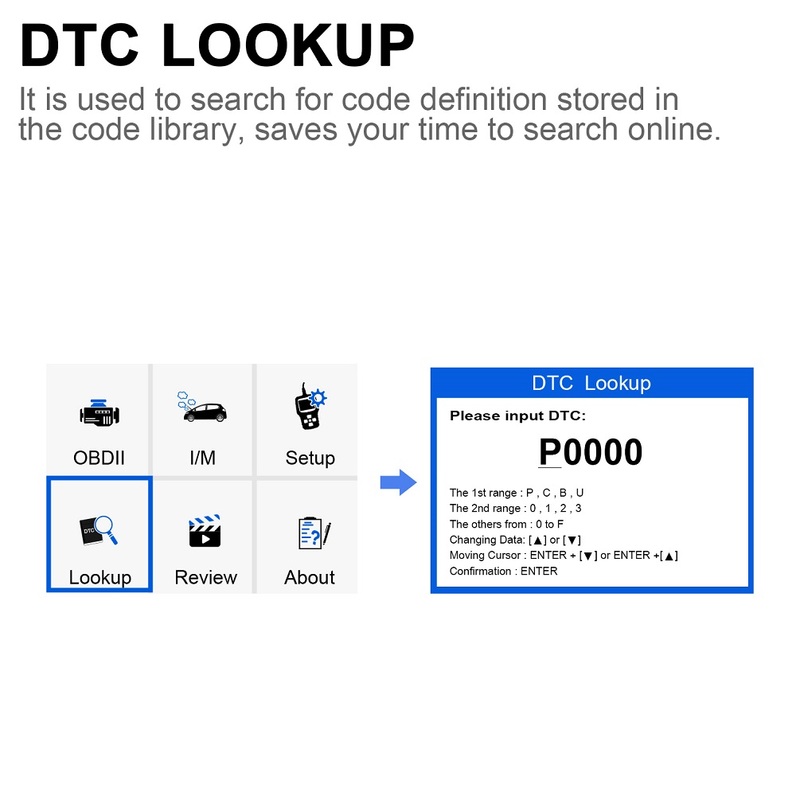 A3:This will work very well with all cars that are OBD2 compliant. For the price this is a fantastic unit and would recommend. this is base on being a retired ASE Master Mechanic. I bought a used car with cash for little to nothing. Took it to a mechanic who was surprised at how good of shape the vehicle was in for such little money. That made two of us. About a week and 150 miles later, the “service engine soon” light came on. I though, “****, that was too good to be true. But instead of taking it to a mechanic, I decided to purchase this little doohickey. Hook it up, ran the OBDII scan, and WHALA!!! !, code P0440. Don’t need to tell you how valuable YouTube is. Went to the auto parts store, purchased an OEM gas cap…problem solved. Now, image if I had gone to a shop. Better yet, image if YOU had gone to a shop. The Ancel AD410 paid for itself 400x over. I like the easy to read screen and the simple layout. 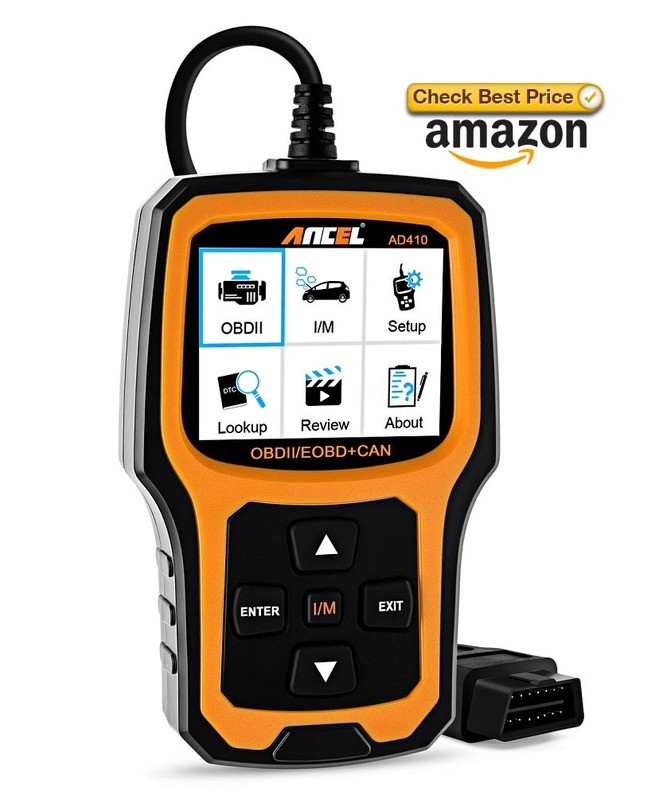 And even though I find value in the AD410, I will probably go with a more intuitive OBD II scanner next time. The AD410 lacks in telling a layperson in-depth information they may need to pinpoint problems. The codes can be very vague. I would like a more in depth description of say, P0440, without having to google it. But for a mechanic, or even someone very car savvy, AD410 is a gem. Low cost – accurate information – live data stream, it’s pretty awesome. You get more than what you pay for. I only took off 1 star. Because for a monitor with a screen that large and bright, you can say more than “EVAC” for a P0440 code. For more information,please check Ancel AD410 on our Amazon Shop.